Research students past and present. List of affordable Open Access journals Academics could be publishing ethically, particularly in the critical social sciences. Generally we don't, and just stick with big publishing firms that take our copyrights. And the public can't easy access our work. Community bike workshops page Ongoing research, on a topic virtually ignored by transport researchers - workshops where people learn to fix their own bikes and change their travel patterns aided by volunteers. I studied this during a fellowship at VUB Brussels in 2015. Old Homepage, research themes, teaching, links etc. I work on the political ecology of natural resources, and international development issues, as a university scholar and occasional consultant and activist. I'm originally from the UK but have spent many years in other places, notably Australia, the USA, West Africa and continental Europe. This site is oriented towards research and teaching interests, and also contains (under Publications) online versions almost everything I have written since 1993. From Jan 2017 I am at Lancaster University in the UK, in the renowned LEC, as the inaugural Professor of Political Ecology, part of a new cluster of scholars in this field and teaching on extremely good geography and envt. science degrees and Masters programmes. Lancaster is a small university in Northern England founded in the 1960s, that punches above its weight, and it is always in the top 140 worldwide. It has some significant environmental scholars in the LEC, working globally, and one of the best groups of sociologists in the world (other departments are very highly ranked too). The city of Lancaster is about 50,000 people, a train ride north of Manchester and a longer one from London, where I grew up. First impressions are good – it is very affordable and there is plenty to do, and beautiful countryside around, including the Lake District. It rains though! Melbourne is a strong research and teaching university dating back to the 1850s. Initially modelled on Oxford and part of the Australian "Ivy league" (Group of 8), it is high in all the rankings. I was Associate Professor 2004-2016 in the School of Geography. We were the Department of Resource Management and Geography from 2008-2014 in the Melbourne School of Land and Environment, which was axed. Until 2006 it had the best name – SAGES - the School of Anthropology, Geography and Environmental Studies in the Faculty of Arts. This attracted me to Australia in 2004 from the Univ. of Arizona, since I teach across development studies, geography and environment (SAGES survives on Facebook!). From 2008-12 I ran a small program, the the University’s Office for Environmental Programs, which offers interdisciplinary taught post-graduate degrees in the environmental field. It has been widely recognized for its innovative teaching model. PhD students: I have usually run a large group working on environment & development, international development, political ecology topics and engaged research. At Lancaster I am unlikely to have a large group given the need to find scholarships for international students, and the possible impacts of ill-advised Brexit on universities. Here is the Graduate School. · In 2015, visiting fellow at VUB, Brussels. · In 2007-8 I was a James Martin Fellow at ECI, University of Oxford, UK in a unit focussing on climate change policy. · I used to teach at the University of Arizona (USA), the London School of Economics (UK, where I co-managed the MSc in Environment and Development), Brunel University (UK) and briefly at the University of Colorado (USA) and Roskilde University (Denmark). · I’ve also lived in francophone West Africa, where I still conduct research on environment and development issues, and I have a couple of similar research projects in the Pacific and East Timor. In my neighbourhood of Melbourne, Northcote, I sat on environmental committees and I worried about bicycle infrastructure. 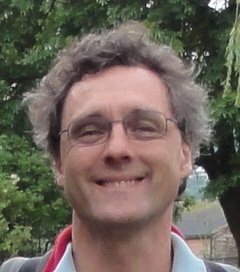 Dr Simon Batterbury est géographe et spécialiste de la gestion des ressources naturelles et des politiques environnementales en Afrique (Burkina, Niger) et dans la zone Asie-Pacifique (Nouvelle-Calédonie, Timor-Leste). Né en Angleterre, docteur de la Clark University (Etats-Unis, 1997) sur le thème du développement rural au Burkina Faso, il est aujourd’hui Professeur à Lancaster University (Melbourne, 2004-2016). Entre-temps, il a travaillé à l’Université de Brunel à Londres, à la London School of Economics, et à l’Université d’Arizona (Etats-Unis). Auteur d’une soixantaine d’articles et de 6 «collections», il a reçu plusieurs « research grants ».